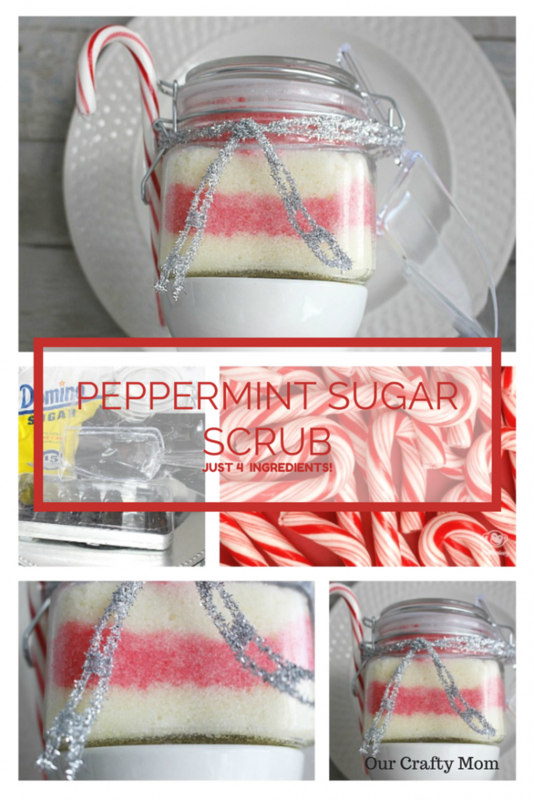 This Homemade Peppermint Sugar Scrub is so good you may want to make extra for yourself! It is easy and inexpensive to make and the combination of essential oils can be changed with this same combination. It makes a great gift for teachers, neighbors, co-workers and really anyone on your list. I’ve also seen people make up smaller jars as Wedding Favors. Microwave coconut oil for 15 seconds until softened, then add in sugar and peppermint oil. Mix until well blended. Divide the mix in two and place half into another bowl. Add your food coloring and mix until blended. 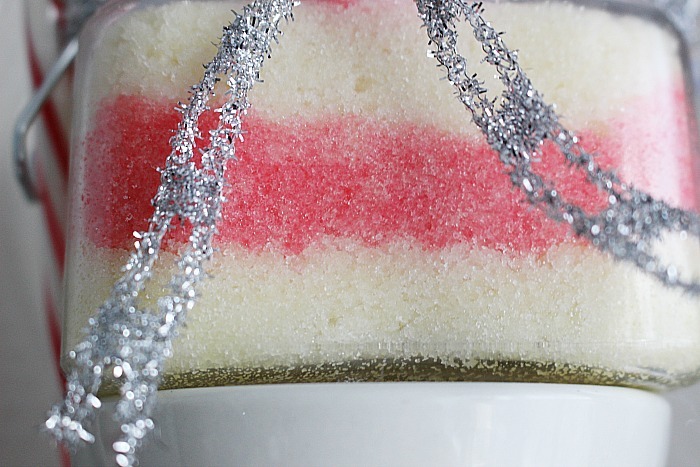 Add the uncolored sugar scrub to the jar, then layer the colored sugar scrub in even amounts. 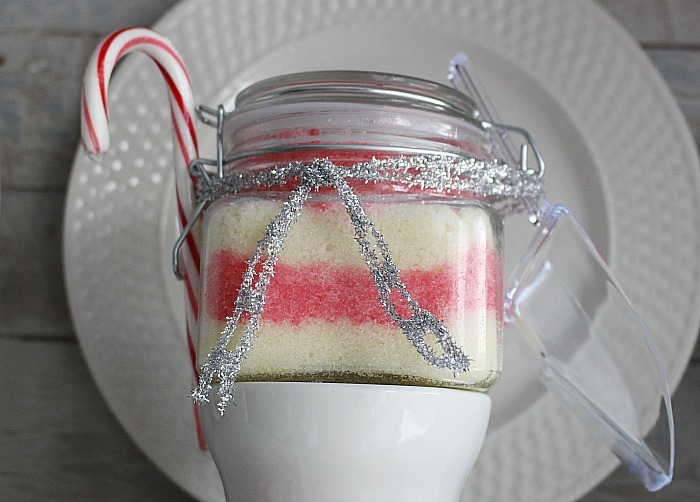 Alternate layers until the jar is full creating a candy cane effect. Finish it off with a pretty tag and attach a scoop with baker’s twine or ribbon. 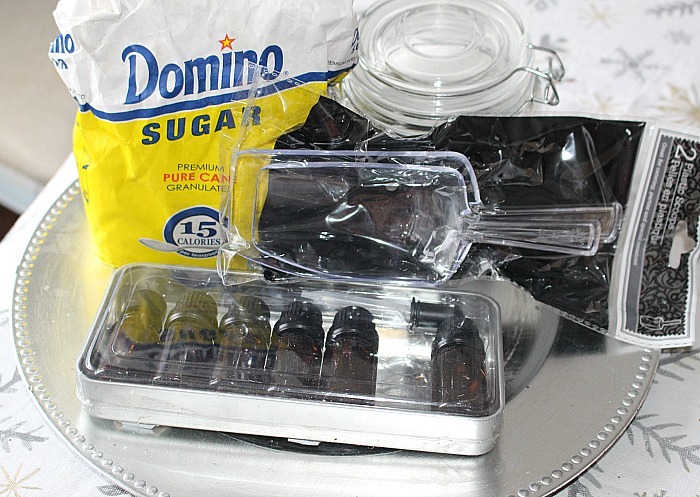 I found the glass jar and the scoop at the Dollar Store. This would be great for Valentine’s Day as well. You could add more food coloring to make it an actual red color, rather than pink. The possibilities are endless! I have made a salt scrub using Epson salt and coconut oil but have never tried a sugar scrub or any type of oil. This looks so pretty and I would find it useful. Great little gift for the winter months. Love it. 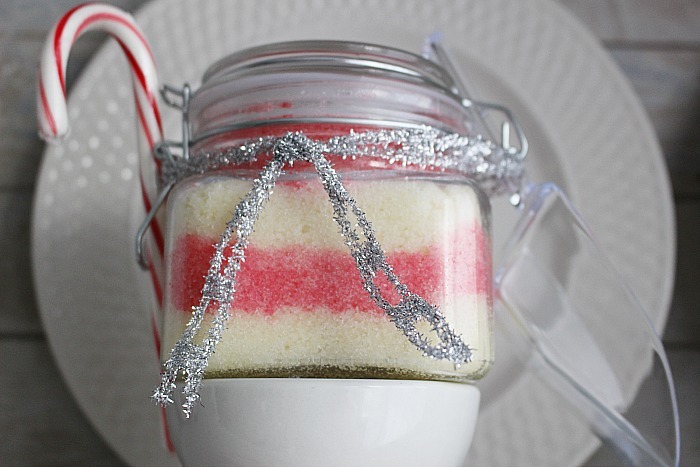 I never thought about making my own sugar scrub, but I just realized this is a great idea for a little Christmas surprise to my family. Thanks for sharing!